Stella is an elf princess that lives deep in the Forgotten Forest. Though her older brother, Asana, forbids her to speak to outsiders, she has always taken an interest in the humans that live on the edge of the forest. In particular, she sometimes watches a boy her age named Gale who sometimes wanders through the forest alone. She is fascinated by him and she wants to know more about him. Stella is pretty and has long, light brown hair and pale blue eyes. Stella is 14 years old at the beginning of the story, a naive child. However, after the initial intro, the story goes to when she's 17 and she's now a full grown adult and she first sees Gale again. She has become strong, mature, kind, intelligent, and a very quick-thinking fighter. She is far from the curious little girl at the beginning of the story, and has taken a disliking to outsiders ever since part of the forest was destroyed by humans for lumber, and since a human outsider attacked her father and badly injured him. However, when she sees Gale again, she remembers him. She tells him to stay away from her people at first, saying he is not welcome, but mainly she's trying to protect him from Asana, who is ruling in her father's stead and will kill any outsider who enters the forest. She saved Gale from Asana's wrath when they were kids, and then Gale saves her from a savage chimera beast in the forest when they're older. From then on, Stella and Gale have a secret friendship and see each other often. Asana is the prince of the elves, and is Stella's overprotective older brother. He is 17 at the beginning of the story, and is 21 in the second part. 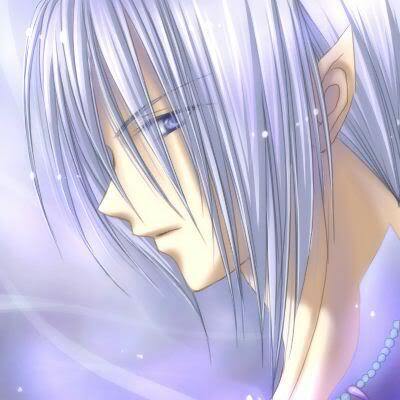 He is very tall and handsome and has shoulder length silver hair and pale blue eyes. He does not trust outsiders from the beginning, and hates them when his father is attacked by a human and the humans start chopping down the forest for lumber. He wishes to attack the human village on the outskirts of the forest and start a war with the humans. Stella begs him not to, but they have very different opinions. Asana is mostly respectful towards Stella once she's an adult but the two often fight about their opinions. He tends to be overprotective of her most of the time. 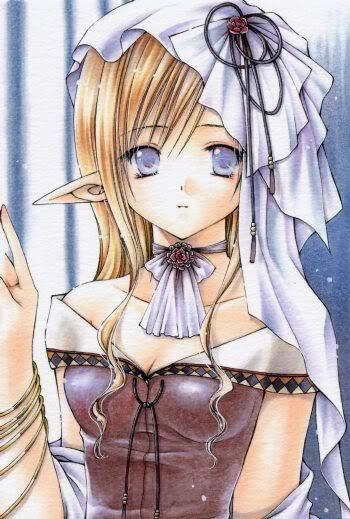 Miya is Asana's lover, a beautiful 21 year old elf girl with short, messy black hair and pale blue eyes. She is also like an older sister to Stella and tries to maintain the peace between Stella and Asana. She is very caring, she's a good listener, and she tries to help people whenever she can. She wants to marry Asana and start a family, but Asana doesn't want to get married or bring children into the world because he fears the humans will destroy them all and cut down the forest. 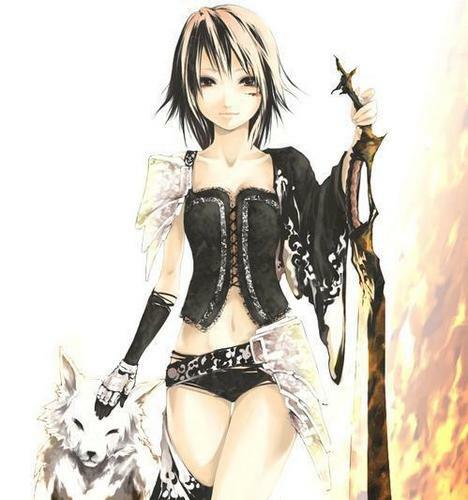 Miya is a warrior by trade but she longs for peace between the elves and the humans. Miya is actually part human- her mother was in love with a human and got pregnant by him with Miya, but she got married to another elf shortly after and made him think he had gotten her pregnant. Only Miya and her mother know of her mixed heritage. Miya's mother died years ago, and Miya was raised by her "father". She longs to meet her real father, Matthew, who lives in the same village as Gale. But she doesn't want Asana to know of her mixed heritage because she fears he won't love her anymore if he knows. She finally ends up revealing her secret to Stella one day. Look at those squirrels... They just keep on plottin'.